Expose your children to Indian folk dance and culture with Rhythm & Folk's annual dance event; Nrutya Rang - The Odyssey of Folk in Mulgrave. Rhythm & Folk is a group of highly energetic and enthusiastic dance performers who explore various forms of Indian dances. 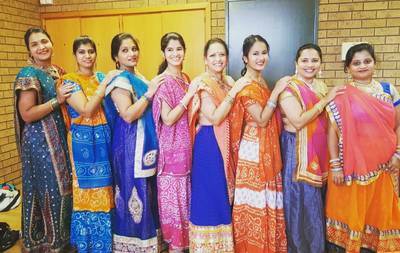 Under the guidance of Reshma Parulekar, Rhythm & Folk dancers have presented various dance forms in programs and festivals around Victoria. Reshma's passion and love for performing arts, especially in Indian folk dance is reflected in her dancing, which helps in fulfilling her goal of sharing the true spirit behind the art as well as India's rich cultural heritage. Nrutya Rang - The Odyssey of Folk is an innovative play of musical drama, performed in the English language. This is a story of a second-generation Australian girl. The story unfolds and takes her through various parts of India and unexpectedly takes a turning point in her life. Nrutya Rang - The Odyssey of Folk will be enacted through drama, music and various Indian folk dances, promising to be a unique theatrical experience. See Nrutya Rang - The Odyssey of Folk on 1st July 2017 at Wellington Secondary College, Mulgrave from 4pm to 6:30pm. All ages are welcome; children are encouraged to attend. On a side note, Rhythm & Folk run regular Folk Dance classes in Glen Waverley, open to all Australian's with no age or gender restrictions. 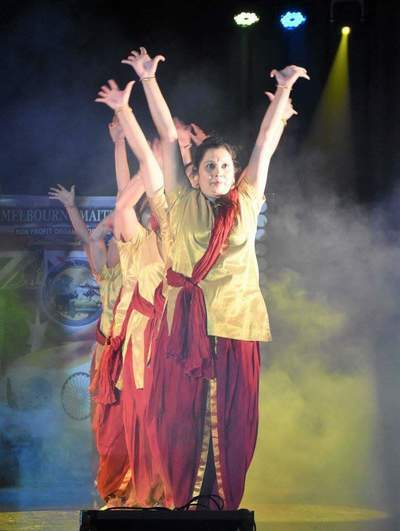 Rhythm and Folk's aim is to encourage and inspire Australian's to learn a variety of Indian folk dances, pursue greater fitness and most importantly, to perform confidently in front of an audience. Head to Facebook to find out more. Tickets start from just $15 per child, $20 adult and $60 for a family of four.